Whenever we hear the name Edison we are reminded of light. The man was an American inventor and entrepreneur whose name was Thomas Edison. He let nothing stand in his way of achieving what his mind came up with. His surname rightfully stands today as a brand for innovation. Edison certainly is remembered for making many improvements upon other men’s inventions, notably the light bulb and telegraph technology. However, I think of Edison for something less well-known: He was quoted as urging people to make requests of their subconscious minds before they went to sleep at night. If someone were to listen to that advice from Edison, they would have to accept that there is genuine and true connection between what we think about in our minds and how happy and successful our lives turn out to be. This kind of perspective on the built-in power of one’s mind as the root of our happiness is not commonly accepted, of course. That would be too sensible. As for me, yes I am happy to quote Edison whenever I mentor and coach people. I am happy as well to share the name of my website, happier life (dot) coach. I know what happiness is. I am an advocate of the belief that happiness originates within each of us. I teach people how to tune into their own mind and take certain steps each day to achieve and maintain happiness. Doing that makes me feel very good. That focus on the space between our ears turns out to be far more important to our happiness in this life than how expensive our clothing is or whether our feet look attractive in designer boots. I’m someone who finds happiness wearing distressed blue jeans and walking around barefoot. I hope you will think of Edison for at least a few days after reading this. I further hope that you will tune into your the power you’ve already got in there in your mind to start creating a happier life for yourself–personally and in your career. Do you see the light bulb going on yet? I worked for just over a decade in Washington, DC at the national headquarters of AARP where I developed an awareness about employment challenges for older workers (people age 40 and beyond) that I share here today with you. AARP switched their marketing focus to appeal to people born from 1946 through 1964, which was a departure from the initial AARP target audience of people born during or before the Second World War. This marketing change was so AARP could remain relevant at least from 2011 through 2029, the span of years that the baby boom generation hits age 65. Whether AARP is the best organization to benefit you as an older worker (versus a retired person) is not the focus of my commentary here today. But, it is true that AARP consistently has tried to socialize how people today can try to cope with workplace age discrimination. The marketing phrase that stands out for me is this one: “Age is just a number and life is what you make it.” Various versions of that sentiment found their way into AARP marketing over many years since the mid-1990s. There is some logical truth in that phrase, of course. However, in the real world, how many birthdays you’ve reached has much more significance than being “just a number” for you. Experiencing age discrimination in the workplace (either while attempting to get hired, or, on the job, itself) in the United States happens to be what’s “normal” for most people. Some career paths, of course, are exceptions to this cultural norm. But, most of us have already learned painful lessons from our experiences with workplace age discrimination. I work as a professional life coach and business improvement coach. On the personal coaching side, I mentor people who are older workers to reinvent and restart as the preferred way to fight back against workplace age discrimination. The methods I use are proprietary, but I can describe here how this works. Very few people are born with a built-in skill to use their mind always for their own good and prosperity. So, I teach people that skill to augment what’s already in their set of skills. What happens after my coaching, consulting and mentoring is a person becomes confidently skilled at using their mind in proven ways that lead to their own good and prosperity. There is no magic or medications and nothing to take. Anyone with a mind that works can attain this newly-acquired skill. Older workers know that age discrimination is reality. No marketing campaigns from any organization can diminish this. Age discrimination will not go away for you in the workplace if you attempt to “appear younger” by coloring your hair. White hair looks cool. I am a man who knows a few things about hair. You can fight back against such workplace discrimination by learning how you can use your mind to succeed personally and professionally and leave your competitors behind. Reinventing and restarting yourself at any age is neither simple nor painless. But, not reinventing or restarting yourself may lead to you remaining stuck in life. Don’t let that happen. Mama’s don’t let your babies grow up to be DJs or journalism majors. Your kids will soon after choosing to be in radio or television or journalism become dead broke and they will come begging for you as parents to let them move back in with you. Stop them before they make a terrible career mistake! You probably have at least heard of Kiplinger, a publisher located in Washington, DC that provides business forecasts and personal finance advice. Perhaps you’ve read their content online. It is worth noting that this company has survived since 1920. I think Kiplinger deserves your trust and confidence when it comes to forecasting financial issues for you, personally, and for business entities in general. Kiplinger is warning young people at the start of their career to steer clear of the radio and television industries. This comes as number 5 of 12 such warnings worth knowing about. A projected decline of 10% (ten percent) in available jobs up through the year 2026 is forecast. The median annual salary of $32,283 is cited for radio and television announcers in the Kiplinger analysis. Why I’m writing this commentary needs to be explained clearly to you right now: I chose to seek a career on the air in radio back in the year 1970 when I was not yet old enough legally to buy alcohol. More of less four years later I was let go from that amazingly thrilling gig in the Los Angeles radio market, which the second-largest in the United States. I just was not sufficiently talented for an on-air career in the radio industry in Los Angeles. That stunning E-Ticket ride in Hollywood on Sunset Boulevard was fast, unpredictable, and, entirely too short. After I was not talented enough to keep a radio job in the Los Angeles market, I tried to work (part time) in the dead-end markets in both Eureka, California and Bloomington, Indiana. Working in both of those markets proved to be exceedingly depressing compared to working in the Los Angeles market. 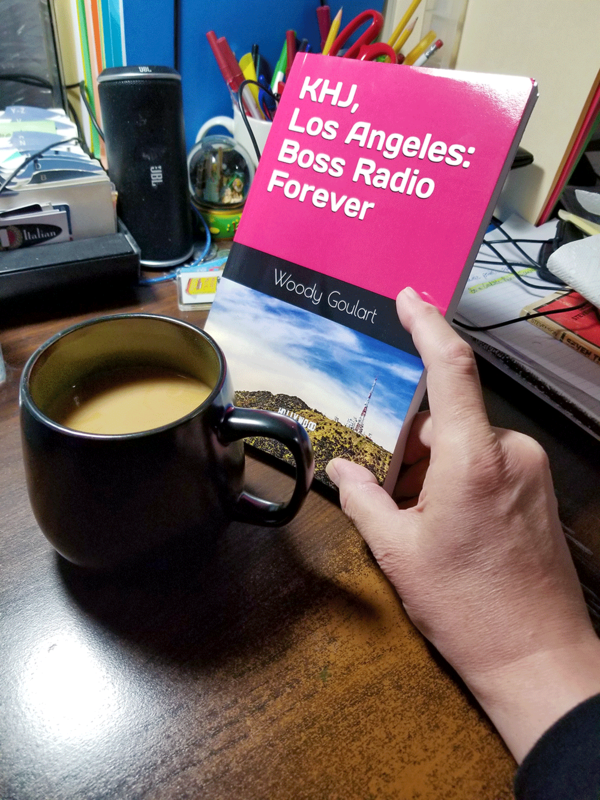 My dear friend Evan Haning wrote in 2011 for the Foreword to my book KHJ, Los Angeles: Boss Radio Forever that the profession has disappeared. That was 6 years ago. Evan Haning always was a man ahead of his time. And, Evan Haning is the ONLY person I knew personally who made it on the air in radio over the long stretch. Compared to me only being on the air in Hollywood at some rock and roll station for a very short while, Evan Haning, who started on the air in the dreaded San Luis Obispo, California radio market, made it from a success in the Los Angeles radio to the crucial Washington, DC radio market and he did so within the cut-throat all-news radio business there. He is one of the few living radio heroes I have. Pay careful attention to my commentary here: It makes sense for you NOT to go after a profession that is already gone from our culture. I urge you NOT to pursue a career in the radio or television industries. I believe what Kiplinger is saying. So, should you. You may want to go get a bachelor’s degree like I did in Journalism from Cal Poly San Luis Obispo. But, do not for one minute believe that being on the air at KCPR radio at Cal Poly actually will prepare you to make a living in a career on the air elsewhere. Read about my own KCPR radio at Cal Poly experiences as a possible guide to what may happen to you if you go that route. Remember that ANY bachelor’s degree anywhere will do the basic minimum—train you to learn how to use your mind effectively. Just do not expect a financial payback for all the dollars that you or your parents invest in your undergraduate education if you choose a major such as journalism that is declining in job prospects. You will need more than merely a bachelor’s degree. You will need a top-notch graduate degree or two from highly-reputable universities that are expensive and not at all easy to get into. Ironically, now in the wake of President Donald Trump’s claims about so-called “fake news,” which is a false claim that does not stand up to the test of reason, skilled and talented journalists are needed perhaps more than ever before. But, the reality is this: Skills can be taught during an undergraduate or graduate degree program, yes. Getting a bachelor’s degree in journalism won’t give you talent that you don’t already have within you. And seeking a career on the air on radio or television may just ruin you financially even if you go the extra distance to get graduate degrees. You don’t want to beg mommy and daddy to let you move back in with them after you are 30. Mommy will do your laundry. Daddy will curse you under his breath while he gets loaded on adult beverages at the dinner table. And, while your rent will be free, you will end up not being able to look yourself in the mirror for the rest of your life. These are my opinions. Your mileage may vary. You only need a website today if you want to prove to others that you exist. If you are happy to remain in obscurity, you can get along just fine without having your own website. Individuals, small and medium-size businesses, and nonprofits need a complete, yet affordable, selection of professional and customized services to enable them to win over their particular target audience with online marketing. Usually this means paying today’s high prices for professional services to get your own website. That is just a waste. And so unnecessary. Nearly half of small and medium-sized businesses or nonprofits do not yet have their own website. One thing that I tell people today may sound shocking: You need to have a website if you want to have street credibility today in the business world. Your personal brand depends on having a website. I firmly believe in this need to have a website after working since 1996 using the Internet for business. If you are someone who really does not want to have your own website, please read this one page and give me a chance to change your thinking. I can help you if you start with an acceptance that yes, you need a website if you really want credibility today in marketing your business to your target audience. Once you understand the need to have your own website, you need help with strategic marketing and personal branding online. The basic rule of business that I use can be explained using an ocean metaphor: You need to swim in the same waters as your potential customers. You get the idea. The truth is: To do business today involving seeking and attracting potential customers, you need to bring what you are offering to your customers where they are. The other simple reality is that having your own website is essential proof that you are savvy enough to use today’s contemporary tools of communication in the digital realm and online. You don’t want to be considered irrelevant or outmoded. Today, the use of the Internet for business is roughly 20 years old. Websites today differ greatly from how websites worked back in the 1990s when the Internet was new. The major difference is that today’s websites are intended to interactive for your visitors compared to the old-school style of websites from the past. Let me quickly express what you need and should want: You want a website for today, not a website that is from the 1990s. The past belongs in the past. Learn to respect the past, but understand that we must focus on today and tomorrow. Today, the best practice is to have a site that is attractive to look at and easy to use, plus, the website works the way it needs to work: People need to interact with you through your website if you want to be successful in using the website for your business. The manner or way that you employ online and using digital outreach technology should be important to you. Resist the temptation to jump into an expensive contract with a provider of website services that promises you the sun and moon and a couple of galaxies, too. Sure, having a website today is essential, but you can be smart and conservative in how you go about it. Why? You don’t want to dump a lot of money and time into something that is wrong. Now a Warning: Merely getting your own website is not a secret doorway to either sudden riches or fame. Rushing out and using social media channels without thinking about why is not the answer to your most pressing business problems. Text messaging to thousands of smart phones may not necessarily rescue you from irrelevance. Today’s digital technology together with the Internet represent marvelous human accomplishments and inventiveness. Websites and smart phones could surely not have been imagined a few decades ago except by the likes of science fiction writers. But, don’t get lost in the marvels that we now have at our fingertips in the 21st century. The best way to success is to use digital technology together with the Internet as one of the tools of your trade. Consider how computerized word processing has become an indispensable tool for writers today. Since word processing is so important to the craft of writing nowadays, how did anyone write and publish books before the invention of word processing software? Trick question. Here is wisdom you can take with you today: Make effective use of the tools of today’s technology. Use the Internet. Have your own website. Yes, get into Twitter. And Facebook. Send text messages to reach the smart phones you know your audience uses. Just be sure that you have carefully thought out why you are using these tools: Reaching, interacting with, and persuading your target audience should be your core reason and chief motivation. For everyone who wants to go out into the real world and harness buzz power: My eBook is available for 2014 in an updated edition. Revised and expanded with new content. This eBook covers the successful use of strategies and tactics in the digital realm that create public excitement about a person, place, or thing. Once you make the decision to follow your internal guidance or your heart or your karma, there is no turning back. So, you think you can stand out? Yes, you can, but it may be more difficult than you can imagine. Those who follow my column on Ned’s Job of the Week website already have seen my commentaries on making transitions in life and career. My most recent column on this subject was on June 29, my birthday. In that post, I wrote about what has morphed into an ongoing transition in my life and career. I chronicled my August 2012 relocation from Washington, DC to Las Vegas, Nevada. I never imagined that I would continue in transition in July 2013, but that is exactly what has happened. The lesson here is that transitions in life can be a regular journey for a person. I was recruited to work as a communication consultant in San Francisco. 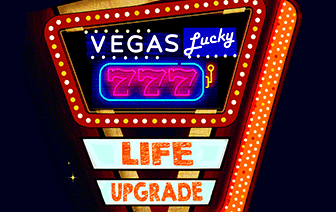 What does one who is a resident of Las Vegas, Nevada do if they want to accept such a terrific position in San Francisco? The answer is found in these three simple words: frequent flier miles. Yes, I fly 400 miles one-way to get to and from work each week in San Francisco. I also live in hotels part of each week. In my experience, flying and staying in hotels has always been associated with vacation. Now, however, I have joined the ranks of steadfast business travelers who know the realities of regular travel by air and weekly accommodations in hotels. Living in two cities is a major challenge, of course. I would not recommend this to you unless you genuinely are a highly adaptable person. There will always be unexpected twists and turns that sneak up on you and complicate an already difficult way to live. In San Francisco, for instance, I am having to deal with a strike at the Bay Area Rapid Transit (BART) system that makes local commuting one of the worst traffic experiences one could ever hope to find in the United States. Then there is the issue of going between daytime highs of only 65 degrees in San Francisco to daytime highs of over 100 degrees in Las Vegas. You get the idea here. I love working with my colleagues in San Francisco and I am very happy that I accepted this consulting offer. I would not trade my life with anyone else. Maybe in the near future, I will need to relocate for work to California from Nevada. You can be sure I will write about my experiences here to help you with your own efforts to stand out professionally. One of the most significant parts of my online column here on Ned’s Job of the Week website is my series on how you can create and maintain your personal brand. This series of columns began in July 2012 and is worth checking out if you haven’t already done so. The entire series is available all in one place online for you to see. I am especially proud of my commentary regarding staying current with technology to help professionals of any age or experience level remain relevant in today’s rapidly changing world. My controversial comments about retirement will make you think carefully about your plans for what happens after you transition from the world of full-time employment.